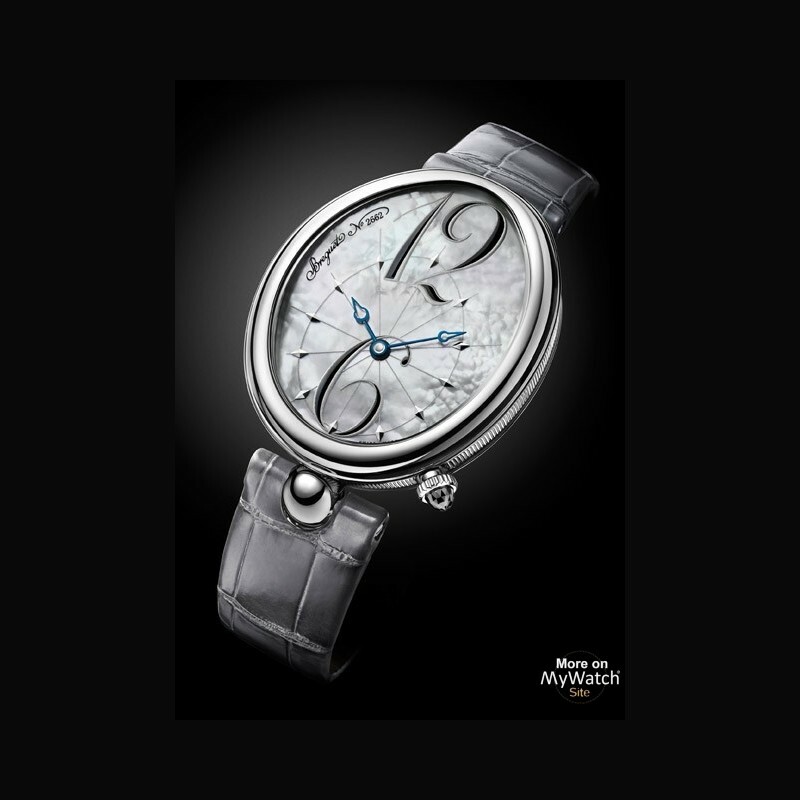 The Reine de Naples is a watch in a league of its own. 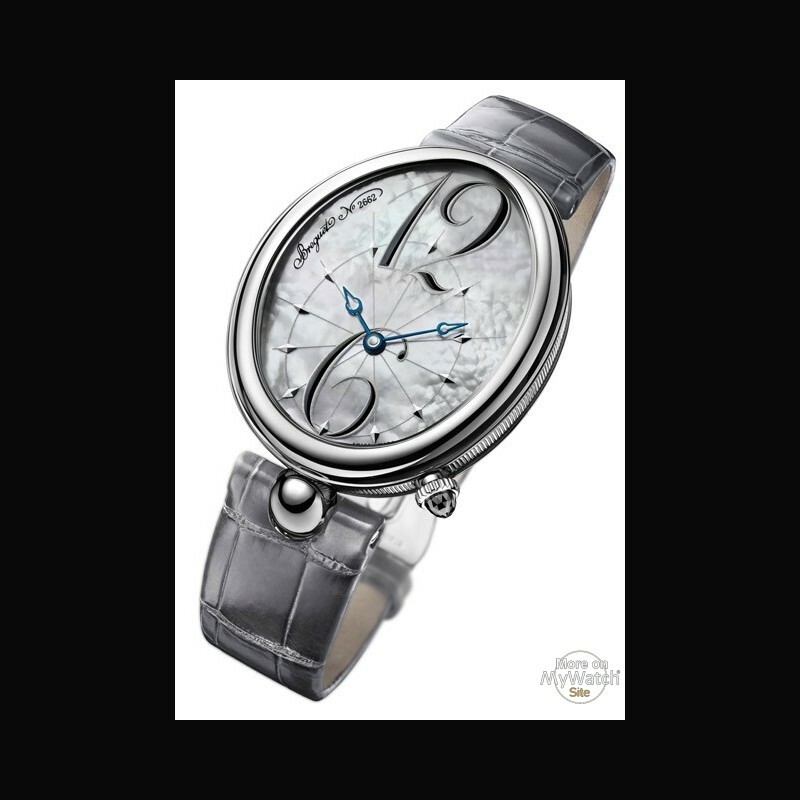 Created in tribute to the wristwatch ordered two centuries ago from Breguet by Caroline Murat, Queen of Naples, it embodies the inimitable Breguet approach to fi ne watch making. 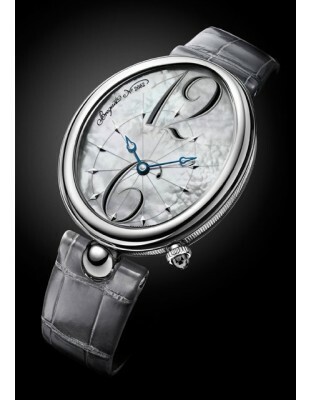 Its softly curving egg-shaped case, its crown at 4 o’clock and its dedicated bracelet ball-lug are all distinctive characteristics composing a model as feminine as it is original. These signature features also endow it with enviable iconic status, judging by the worldwide success it has enjoyed since its launch. It now appears in a steel version that is also slightly larger. For a timepiece that has only thus far existed in gold set with diamonds, this new version is a means of drawing closer to the everyday lives of women who can thus wear it daily and in all circumstances. However, this concession to modern times has been made without sacrificing one iota of its exquisite refinement. The Reine de Naples in steel maintains all the subtle details that make it such an emblematic model: the delightfully curving feminine case with fluted caseband, the off-set crown, and the ball-lug at 6 o’clock securing it to the alligator leather strap. 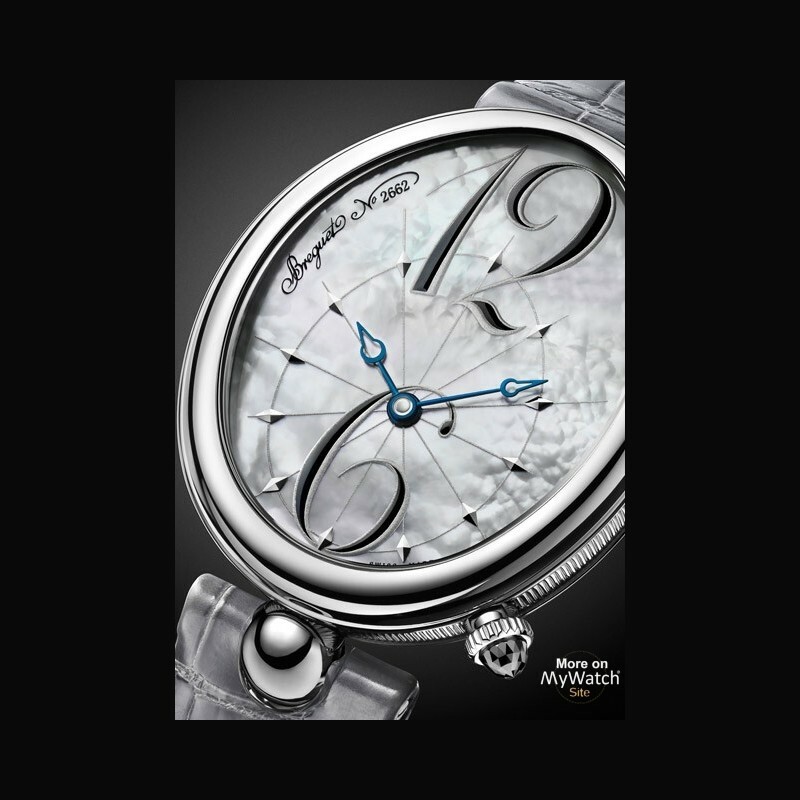 Its white or blue mother-of-pearl dial is adorned with two relief-painted Arabic numerals, as well as with the individual series number of the watch. 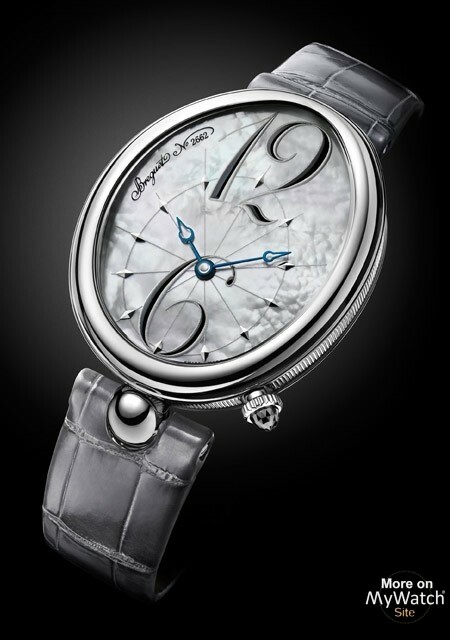 The sapphire-crystal caseback affords a superb view of the mechanical self-winding Breguet movement. Crafted in harmony with the finest watch making traditions, its solid gold oscillating weight is hand-engraved on a rose engine. Its silicon escapement illustrates the message regarding Breguet consistently conveyed by Nicolas G. Hayek: “Breguet is the perfect me eting of beauty and advanced technology”. The use of this highly innovative material, not only for the escapement, but also for the balance-spring, contributes to the precision and the reliability of the anti-magnetic movement. All of which offers convincing proof, if proof were needed, that Breguet is determined to apply the finest technical enhancements to its ladies’ watches too.